Happy New Year and have a great 2016. If you are a manager, team leader or a supervisor, then you will know the challenges of motivating the people who report to you. I was a manager for 15 years in different organisations; I’ve been there, seen it, done it and got the T-shirt. I’ve produced this Masterclass to help you get the best out of your staff and achieve your objectives. It’s full of practical things you can do to keep your team happy, your boss happy, and make life easier for you. I can bring it into your organisation, or you can come along to one of our open programmes. 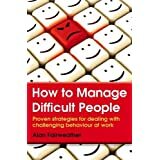 This entry was posted in Leadership, Management, motivation and tagged Alan Fairweather, Customer Management, difficult people, Motivation, motivational speaker, Sales. Bookmark the permalink.